Some 20 million people face catastrophe in South Sudan, Somalia, Nigeria and Yemen with famine already declared in South Sudan. People are already dying from starvation and in South Sudan alone 1 million children are estimated to be acutely malnourished. If we don’t reach people with urgent food aid soon, many of them will die. WFP is on the ground in some of the hardest hit areas, but we need your help to reach more people. Please make a donation to our emergency fund today. Help save a life. With ongoing crises and conflicts, it often seems there is little we can do to help. But you can make a difference today. Set up a monthly donation -- and join our very special group of donors ZeroHunger Heroes. It’s easy, takes just a few moments, and even a small contribution each month will have a direct impact every day on the lives of children and their families. In return, we’ll send you updates and information on how your support is saving and changing lives. WFP is working across an unprecedented number of emergencies, and we can only continue this lifesaving work with the support of supporters like you. In Yemen, for example, your gift can mean a month’s supply of food for a family, including wheat grains, lentils, vegetable oil, salt, sugar and a protein-rich food blend called Wheat Soya Blend. For infants (like the one pictured), young children, and new mothers, specialist nutrition support, can often be lifesaving. Zara is 13 years old and attends school in Chad. Zara studies hard, because she believes in a brighter future and wants to stay in school, go to college, and she’s excited about one day choosing a career. And it’s because of school meals that she is able to continue her education -- because often the meal that Zara and children like her receive at school is the only meal they receive that day. Nutritious WFP school meals do make all the difference. Why donate to the World Food Programme? We are the world’s largest humanitarian agency fighting hunger. On any given day WFP operates an average of 70 aircraft, 20 ships, and 5,000 trucks. We deliver food in more than 75 countries and our structure and logistical capacity means we can reach those most in need -- wherever they are. You can rest assured that your support will get to where it matters, and together we can save lives. When disaster strikes, WFP is often the first on the ground. And right now, the world is experiencing an unprecedented number of protracted hunger emergencies including in Yemen, South Sudan, and Syria. 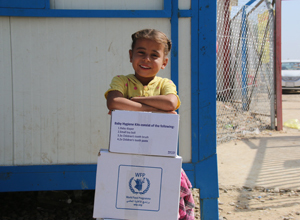 As a result, WFP’s resources are stretched thin like never before. Your gift will help us greatly -- to provide emergency nutritious, lifesaving food for children and families in their most desperate time of need. 365 days of the year, we work around the clock to get food to the hungry. Desert, swamp, or jungle, WFP's teams have to navigate through some of the toughest terrain on the planet. When the people who need food are not accessible by road, rail, or river, we use aircraft or a helicopter airlift. So you can count on us and rest assure that your donation will get to those most in need. WFP’s greatest strength is its team working around the world, often under difficult conditions where risks to safety are considerable. They are heroes. But you can also play your part. Become a ZeroHunger Hero with a monthly donation. It’s easy, just click on the monthly donation button on this page; it takes just a few minutes, but will give support to where it’s most needed, month after month. Yes. Because 93.5 cents of every dollar we receive goes directly to assist the people most in need. Your donation will be immediately put to work saving lives and in our global operations. What is WFP’s Online Community? Our Online Community is the name we have given to the group of people around the world who care about ending hunger -- and have signed up to receive our e-communications. In doing so, they have chosen to stay in touch with WFP’s work -- saving lives, changing lives and feeding dreams. WFP works around the globe and around the clock, so there are always great stories to be inspired by! How can I join WFP’s Online Community? 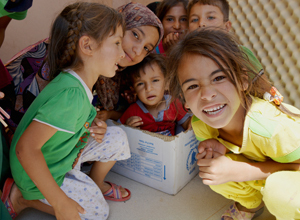 When you make a donation to WFP, you will automatically become a part of our Online Community. And as a donor, you’ll receive regular email updates about our inspiring work and feedback about how your support is making a difference. If you would like to join our Online Community without donating, simply fill in your information and click submit on the form on this page. ZeroHunger Heroes are donors who are committed to ending global hunger and have decided to support WFP every month with a financial contribution. From January 2016, anyone who signs up to be a ZeroHunger Hero will have their monthly donations channelled where the need is greatest for hungry children and their families. This is the best way you can support WFP, as it gives the organization the flexibility to allocate funding wherever it’s most needed at any given time. We have ZeroHunger Heroes from across the globe and the average monthly donation is around $30. However, you can become a ZeroHunger Hero for any amount you choose, no matter how big or small. And rest assured, every dollar really does count. In return, we will keep you informed of the great work you are helping to fund! How can I make my donation tax deductible? For the US - You will be re-directed to the website of our US office. In Germany, the UK and Australia – click on the link on the donation form – to go to our local fundraising platform which can offer you tax deductibility. For Canada, Netherlands, Italy and South Korea - you can stay on the wfp.org donation platform and make a tax deductible gift directly. 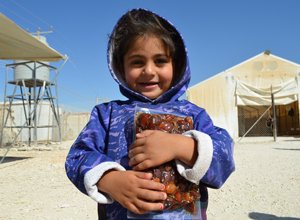 For any questions, just write to community@wfp.org. Can I make a donation to WFP in another way i.e. not by credit card? Donating online is easy, takes just a few moments, and is completely secure. But if you prefer to make a donation offline, you can do so by cheque or bank transfer. Please indicate the fund or campaign where you would like your gift to be used on the bank transfer form (field number70). I’m a monthly donor (ZeroHunger Hero). How can I update my information, change my giving level? For any changes, write to us at community@wfp.org, let us know what you would like to change and we will advise you accordingly. Remember NOT to put any details related to your credit card, such as your credit card number, in an email. This is for your own personal data security. Your monthly contributions provide critical support to hungry children and their families around the world so you could, instead of cancelling your gifts completely, reduce the amount you are giving to us, or maybe just stop giving for a little while? However you prefer, we can help you, and of course if you wish to cancel at this time, we understand. Whatever you decide, please email the request to community@wfp.org and we will take the necessary action for you. Can I obtain a refund for my donation? Refunds may be requested if, for example, a duplicate donation has been made by mistake or you suspect credit card fraud. Please note that refunds must be requested within 60 days of the original donation date. How can I unsubscribe from WFP emails? You can unsubscribe very easily by clicking on the unsubscribe link at the bottom of any of our emails. What if I have another question about my gift? Please contact us at: community@wfp.org. This is our donor and supporter services inbox. You can write to us with your queries or requests, whether you want to learn more about WFP’s work or have a specific question about your own donations. We will get back to you as soon as we can, and aim to revert to all queries within 48 hours. But during busy time it may take us a little longer. Thanks for your patience, and we look forward to hearing from you! Can I print a WFP ad in my magazine? Yes, the World Food Programme produces public service announcements (PSAs) for pro-bono publishing in print media. We also have a range of banners for websites. If you can offer pro-bono space, please write to: WFP.publications@wfp.org. We will provide a high resolution PDF file, formatted to the size you have available. Find out how to print our ad in your magazine . For news and stories about how WFP is making a difference. Save lives. Give lifesaving food today. Have a question about donating? Contact our team at community@wfp.org and we'll get back to you right away.